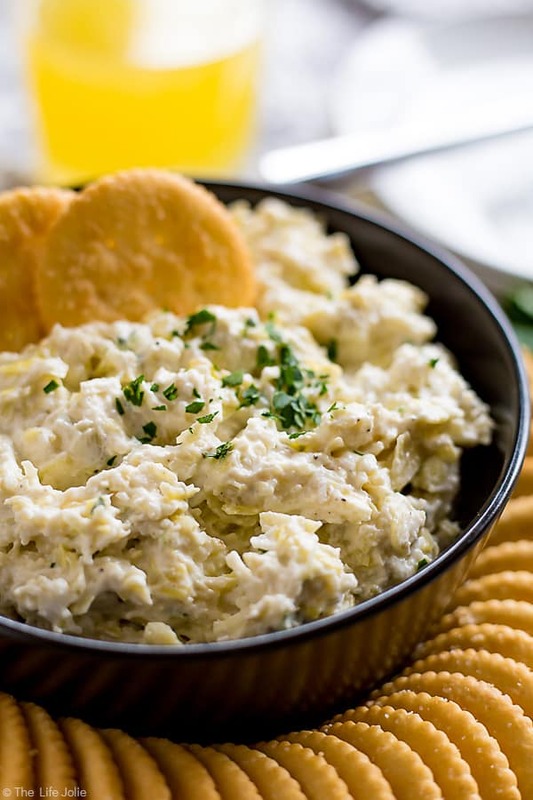 This Artichoke Asiago Dip is the best easy recipe to throw together for a last-minute spring get-together. 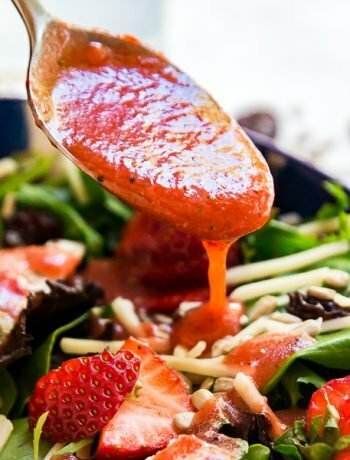 It only takes a couple of minutes to make and is fully of cheesy, delicious flavor! This is a sponsored conversation on behalf of RITZ and Clever. Thank you for supporting the brands that support this blog! Well, spring has finally sprung around here, and thank goodness for that! Rochester can be a bit…how do I say…eclectic when it comes to weather. One day it will be 72 degrees and sunny, the next it will be snowing. This makes for quite the conundrum when it comes to choosing an outfit! Our winters are pretty long in general and by the time March rolls around, we’re all aching for spring. This year, March brought with it an almost-record-breaking windstorm and a snowstorm. So once April finally rolled around, we were all dying for daffodils and sunshine! As some of you may remember from past posts, I have a hit or miss history with gardening. I aspire to be one of those people with the perfect, well-manicured landscaping in all corners of the yard. But I’m really good at killing plants! It makes me sad, because I typically start strong. In the past few years, I’ve dialed it back on my gardening attempts since I was either pregnant or had new babies during the spring and summer seasons. But every year, without fail, I always plant an herb garden. There’s something so wonderful, so quintessentially summer about going out and picking the fresh herbs that you need for whatever it is you’re cooking at that moment. It may or may not be my own personal version of the American dream. Each year I’ve gotten a bit better at keeping my herbs alive (I’ve also learned that there are certain herbs that I’ll never succeed with- like cilantro and dill, I always kill them!). So I’m thinking that this year could really be my year to have success with my herb garden! And you guys, my brain is already brimming with delicious recipe ideas to use all my fresh and delicious herbs, and I haven’t even planted them yet! Now as you also may remember, my family has an on-going love affair with RITZ Crackers. 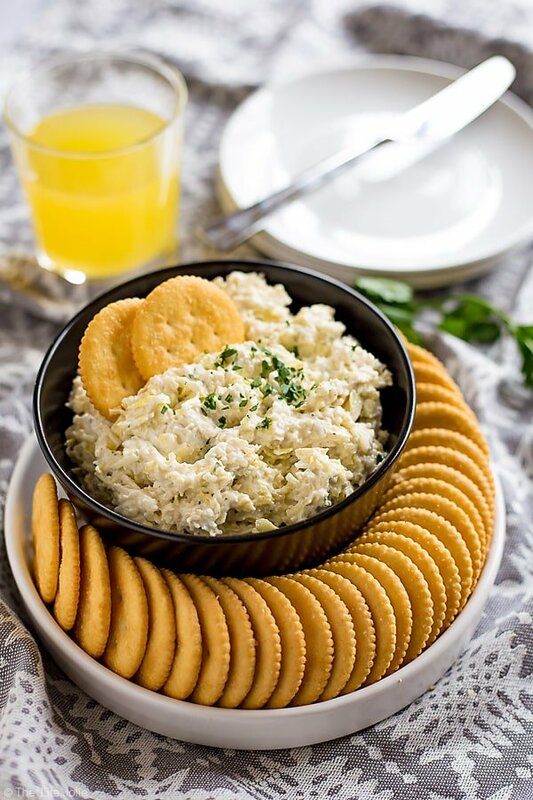 We are very big fans of these delicious, crispy crackers and I am always looking for tasty recipes to pair with them. A little Spring RITZpiration, if you will (see what I did there?). 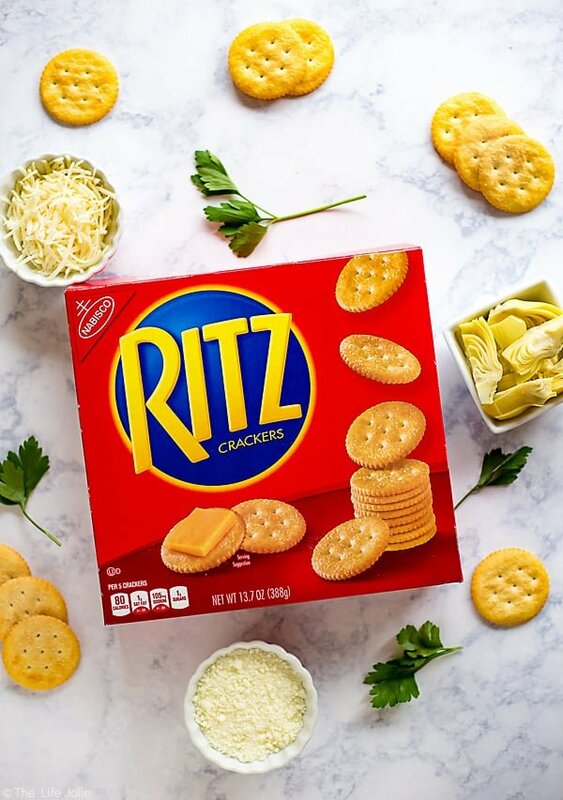 I often find myself grabbing a box of RITZ Crackers during weekly Target shopping trips. 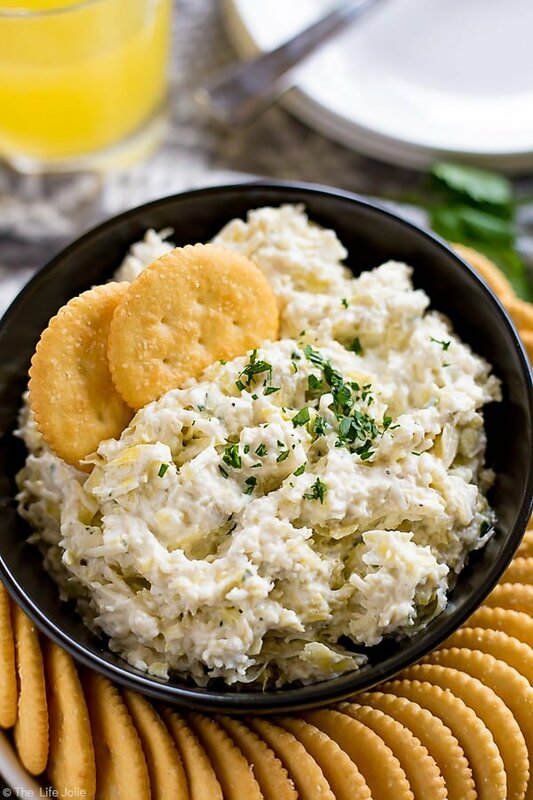 Fresh and delicious spring flavors are always a good idea and this Artichoke Asiago Dip is an awesome appetizer to spread on RITZ Crackers! Artichokes give a tasty nod to spring vegetables. Asiago and Romano cheeses add fantastic savory notes. And chopped parsley brings a freshness that only homegrown herbs can provide. It’s really quick and simple to make- an excellent option to throw together for a last minute spring get-together. It took me all of five minutes to throw this together and the results were full of great flavor! Give it a try! Roughly chop the artichokes and place them into a mixing bowl. Add the Asiago cheese, Romano cheese, sour cream, mayonnaise, garlic powder, black pepper and parsley. Mix until all ingredients are well combined. 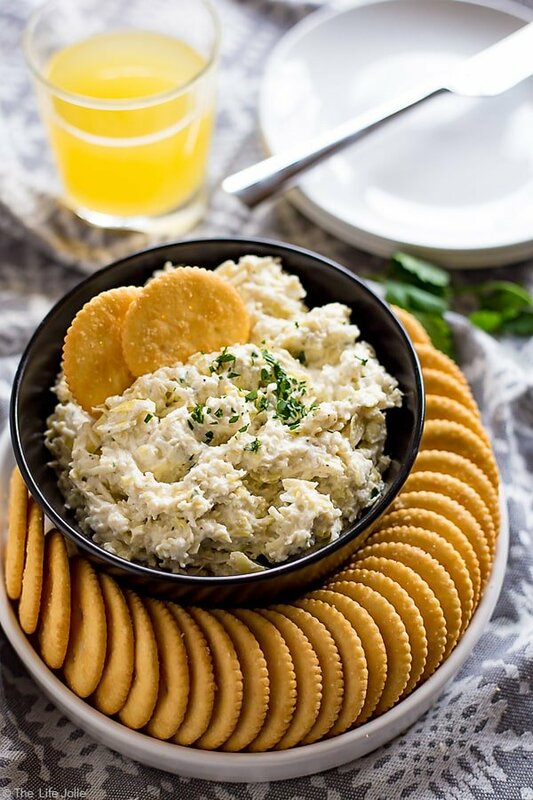 Place the dip into the serving bowl and refrigerate until ready to serve, or for up to a week. 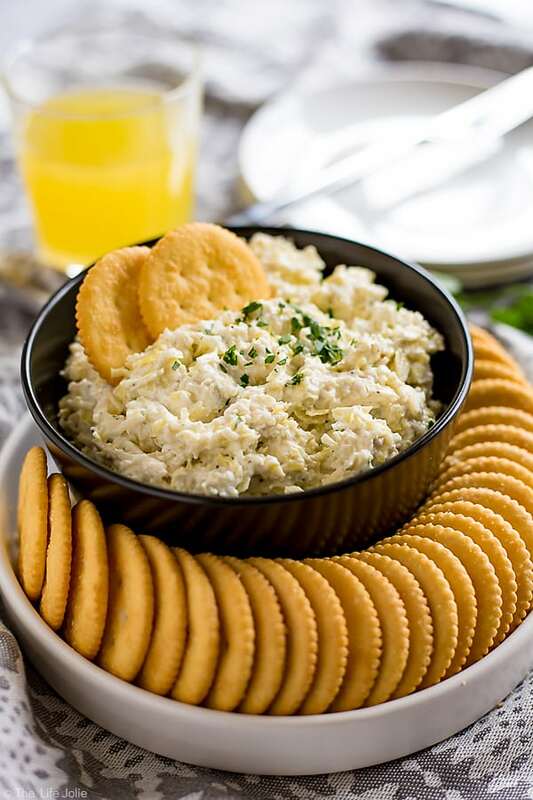 Enjoy the dip spread on RITZ Crackers. Mexican Lasagna Roll-Ups The most delicious guacamole EVER.